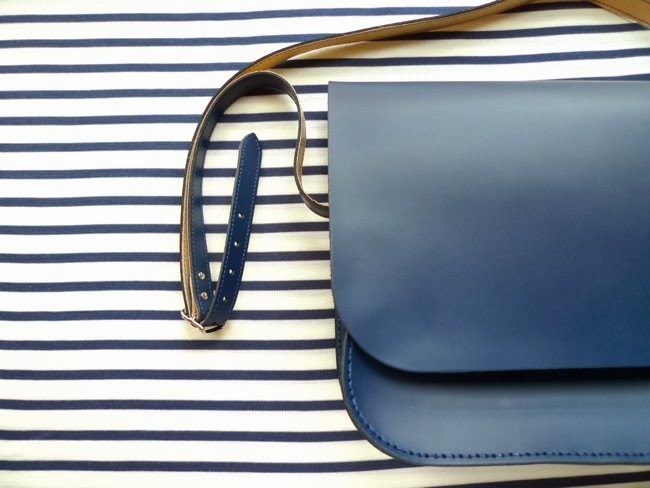 Tilly and the Buttons: I Made a Bag! 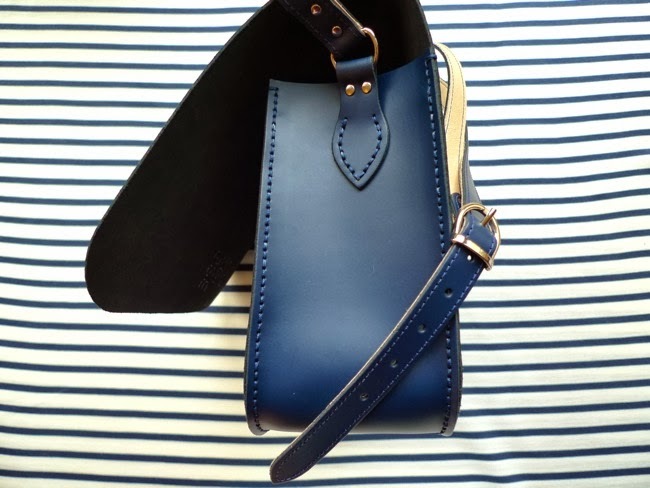 So I've made clothes, undies, shoes, and now a bag! Josie from The Fabric Godmother sent me one of their handbag making kits to try out, and I must say I'm mighty pleased with the result. 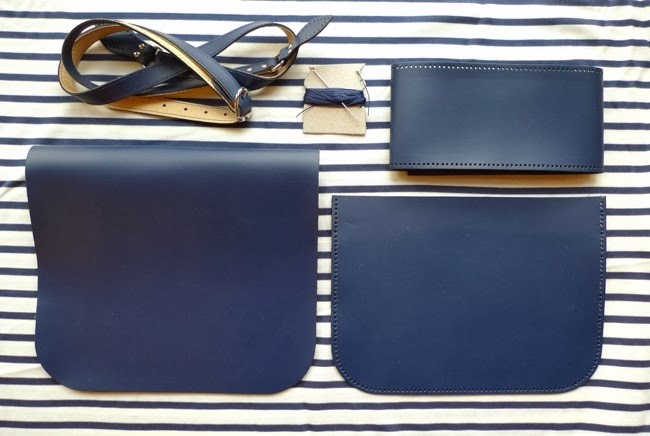 It's beautiful leather, which comes in various colours - I picked navy. It was super simple to make - all the pieces are pre-cut so you just need to hand stitch it all together using the needle and thread included in the kit. It's the kind of thing that would make an ideal Christmas prezzie for a crafter... or anyone really, as it doesn't require much skill. In fact, it was so easy it felt like cheating! 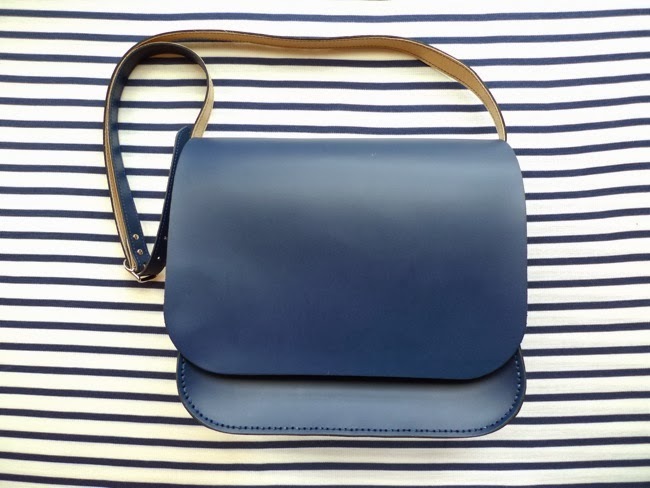 I'd love to take my bag making to the next level and try the Cooper pattern from Colette - have you tried it yet? 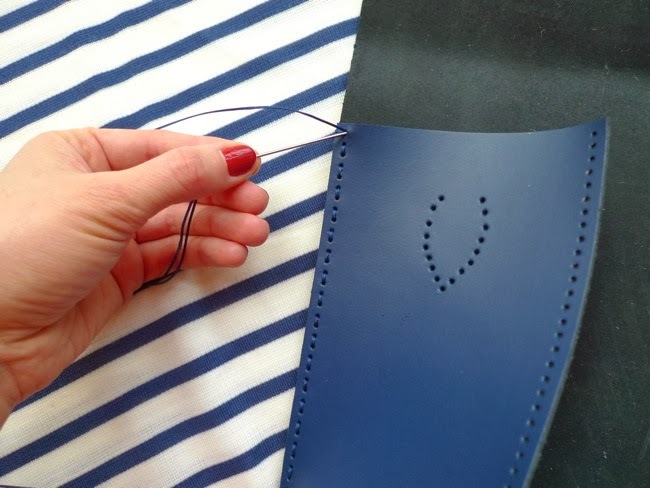 The simple design lends itself well to customisation - you could cut the flap into a pretty shape, add decorative holes, use a contrast colour thread... I really liked the simplicity of the shape and colour it comes in though so kept it as it is. The only thing I want to add is a magnetic clasp to keep the flap shut. I'm not sure how to attach it without having to cut a hole in the front flap though... Do you have any ideas how I could secure it shut without ruining the smoothness of the front? PS. Don't forget to enter the fantasy shopping splurge giveaway!